Apple is looking into technology that offers users an easier, safer, way to text and walk by making an iPhone's screen "transparent" during messaging operations through the clever use of live video. To enable a "transparent texting" system, Apple proposes that an app's background be modified to display video images continuously captured by an iPhone's rear-facing camera, according to a patent application filed with the U.S. Patent and Trademark Office on Thursday. Due to their inherently mobile nature, smartphones are often used while moving. This is fine for voice calls, but could be problematic for operations that demand visual attention like reading or writing text messages. Aside from appearing antisocial, texting could potentially cause bodily harm if a user operates their device while walking. If smartphones were to have a transparent display, or a system that offers the illusion of transparency, users would be more aware of their surroundings. The implementation as described by Apple is quite simple. A device uses its rear-facing camera to continuously capture video and present the images as a background within a text messaging app currently being displayed. The onscreen result would be offer the illusion of a transparent display with floating text. In one embodiment, the live video background is displayed behind the usual dynamic user interface seen in iMessage, complete with colored bubbles denoting a chat session between two or more people. These bubbles may be opaque or, in some cases, partially transparent to allow greater visibility of the live background. The system can be activated via an in-app button that transforms the GUI from the normal white background to a live video version. Extending the application beyond messaging apps, the live video feed can be used in other situations requiring a significant amount of visual concentration. For example, the implementation may be an option in the use of mobile Web browsers, where text and images would float over the live-view background. Another embodiment covers e-book readers such as Apple's iBooks. While not a completely foolproof system (users must point the iPhone camera straight ahead while walking for full visibility), Apple's invention proves the company is actively investigating unique ways to leverage existing hardware technology for the purpose of enhancing the mobile device experience. It is unknown if Apple is planning to work such a feature into its next iOS build, but the tech required to enable similar functionality is already in place. 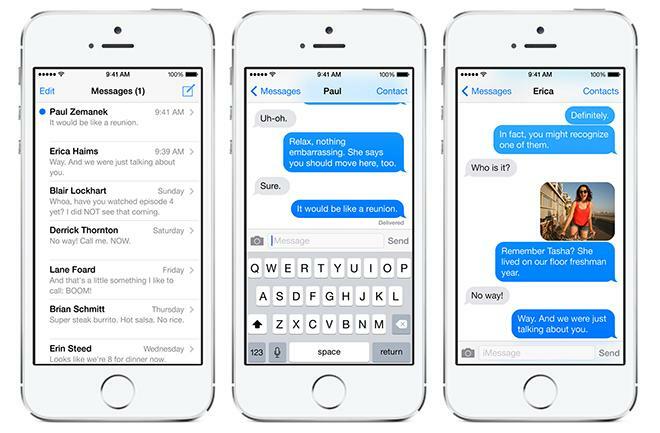 A transparent texting window could even be considered a good fit with the new "flat," layered iOS 7 design aesthetic. 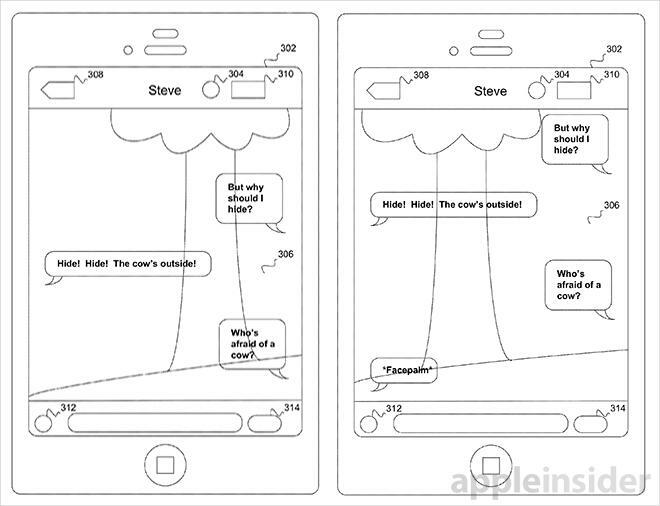 Apple's transparent texting patent application was first filed for in 2012 and credits Stephen T. Payne as its inventor.